We often purchase succulent plants that are improperly labeled and, sometimes, there is no label at all. One such situation can occur when we buy agave or aloe. 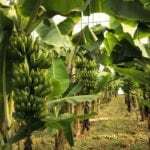 The plants look similar and, if you’ve not been growing them both, it is easy to get them confused. Read on to learn more about aloe and agave differences. 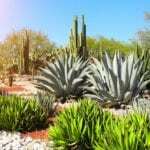 Aloe vs. Agave Plants – What’s the Difference? 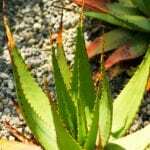 While they both require similar growing conditions and care (drought tolerant and love full sun), there are huge internal differences between aloe and agave, and it is important to know them in some situations. For instance, aloe vera plants contain a medicinal liquid we can use for burns and other minor skin irritations. We wouldn’t want to try removing this from an agave. While the appearance of the plants is similar, agaves are used to make rope from fibrous leaves while the inside of aloes contain a gel-like substance. Aloe juice is consumed in various ways, but don’t do this with agave, as one woman found out the hard way after accidentally eating a leaf from an American agave, thinking it was aloe. Her throat went numb and her stomach required pumping. 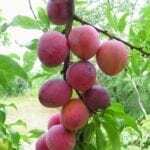 She did recover from ingesting the poisonous plant; however, it was a painful and dangerous mistake. Just one more reason to know the difference between aloe and agave. Further aloe and agave differences include their points of origin. Aloe originally comes from the Saudi Arabia Peninsula and on Madagascar, where it eventually spread and developed through the Mediterranean area. 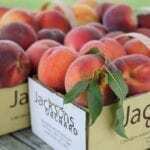 Some of the species’ development resulted in winter growers while others grow in summer. Interestingly, some aloes grow in both seasons. The agave developed closer to home for us, in Mexico and the American Southwest. An example of convergent evolution, aloe vs. agave are only distantly related from possibly the times when dinosaurs roamed the earth. Their similarities began some 93 million years ago, according to researchers. While the similarities can cause confusion and evoke danger as mentioned, there are some easy ways to physically learn how to tell agave and aloe apart. Aloe has multiple flowers. Agave has only one and often dies following its bloom. The inside of aloe leaves is gel-like. Agave is fibrous. 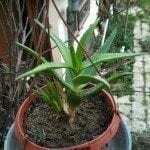 Aloe lifespan is approximately 12 years. Agave specimens can live up to 100 years. Agave are larger than aloe, in most cases. There are exceptions, such as with tree aloe (Aloe bainesii). When in doubt, don’t consume the plant unless you are positive it is an aloe. The gel inside is the best indication.